SIM South Florida connects the area's premier IT leaders - for business solution exchange, professional development, and timely education. SIM South Florida has quarterly chapter meetings, monthly SIM Women Ladies who Lunch and an annual conference. The chapter also partners with other organizations to host joint events or provide discounts to non-SIM events for SIM Members. The geographical scope of the South Florida Chapter is Miami-Dade, Broward and Palm Beach County. Subscribe to receive emails from the chapter to get notified of all relevant events in the area. If you are already subscribed, you will be sent a link to update your preferences. Pandera Systems is hosting SIM Women for their “Byte to Beautiful” course where you will learn how to architect and execute an analytic strategy that drives your entire organization forward. We will get hands-on and create a data pipeline capable of feeding a modern information architecture. We will then show you how to leverage GCP best practices to navigate data storage options like storing data for persisting methods (commonly used for data on the fly) vs. real-time analytics. Wednesday, April 17th in Boca Raton. The topic will be "Turn Your Job into a Career" offered by Elizabeth Decker. Wednesday, April 19th in Broward. The topic will be "What's your Financial Fitness" offered by Ana Zamora. 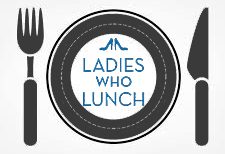 Miami-Dade Ladies who Lunch date and topic is pending. We need more ladies to sign-up. Indicate your availability and interest in the topics in the following survey.